Light House Lamp & Shade Co was a Los Angeles based manufacturer and designer of lamps. Light House Lamp and Shade most certainly made lamps for Heifetz. The distinguishing difference between what Light House made for themselves and the lamps that their made for Heifetz is the shape of the base. Light House Lamps have circular or oval bases while Heifetz lamps have square or rectangular bases. And ALL Heifetz lamps are signed and no lamp will be sold by Marfa Lights and Lamps as a Heifetz lamp without its signature. The beauty and craftsmanship of Light House Lamps make them equals to any thing that Heifetz designed. 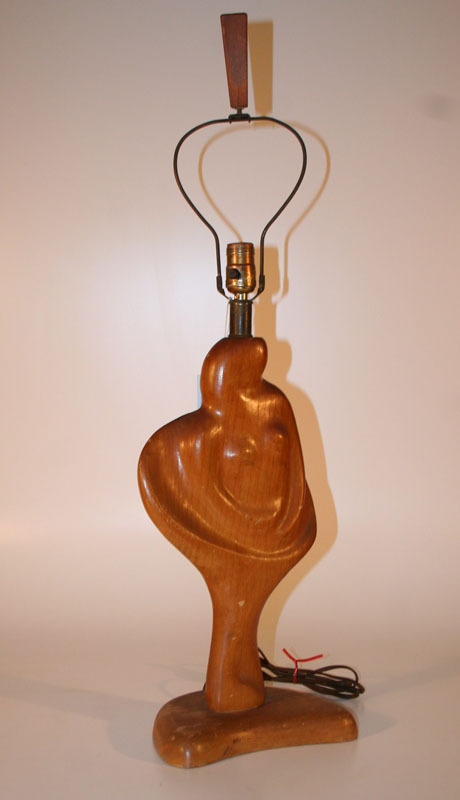 an unique example of the workmanship of Light House Lamp & Shade Co. Their quality workmanship is obvious in this 70 year old lamp. a lamp frequently labeled as a Heifetz lamp. But the signature is missing and that means everything when a Heifetz lamp is concerned. 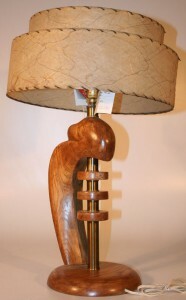 Please contact us concerning the maker of the lamp before purchasing. a beautiful example of the work in a Mid Century Modern Light House Lamp. a beautiful example of the workmanship of Light House Lamp & Shade Co. The lamp merges modernist design with natural elements, a classic motif in Mid Century Modern creations. The lamp is an early example of the design genius and craftsmanship of Light House Lamp & Shade. A stunning early lamp in beautiful condition. Light House Lamp & Shade Company of California made wonderful lamps that compete with Heifetz in their delight and recognition. The light wood lamp is another inspiring lamp in the modern form. An outstanding example of the design and craft of Light House Lamp and one of their Heifetz inspired lamps. There water damaged to the lamp base.